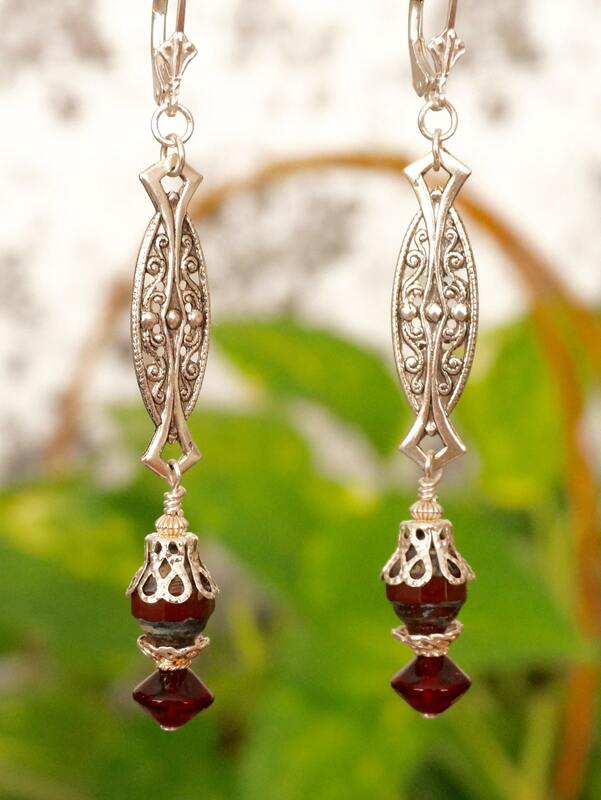 Here you have an antique looking pair of earrings, made with antique silver components. 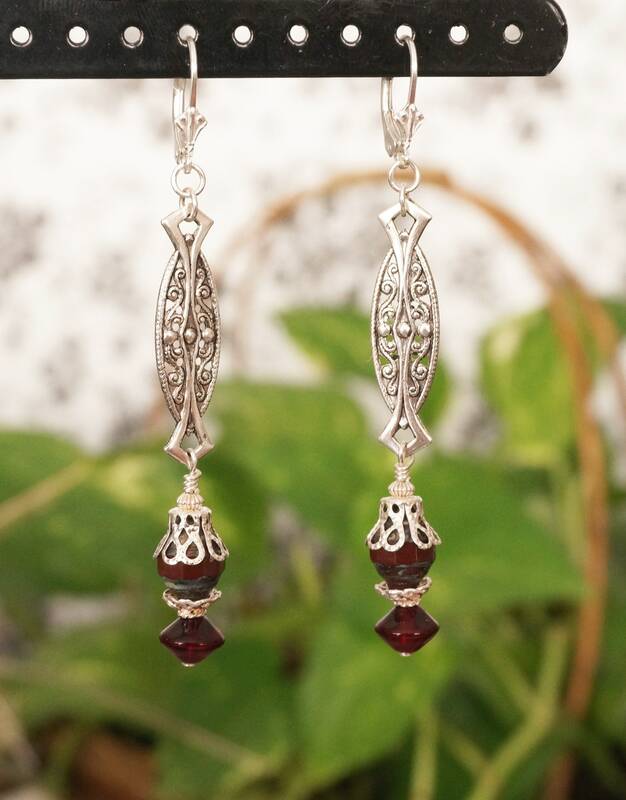 The lever backs are sterling silver. The beads are from the Czech Republic. They measure 3 inches long.